Successfully Added Ultimate Accuracy Laser Scissors to your Shopping Cart. Always making a complete hash of your paper cutting tasks? Then why not get some ultimate accuracy laser scissors to produce awesome lines every time. 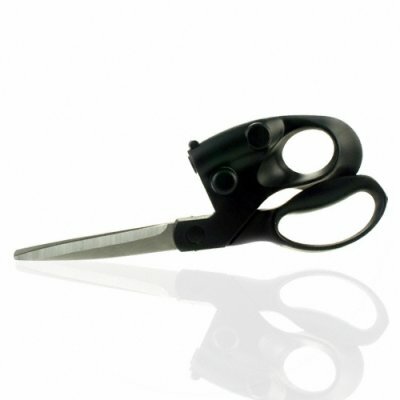 Perfect for scrap-booking, gift wrapping, wall papering, and other arts and crafts these comfortable sharp steel bladed scissors include a red laser sighting system so you'll always know where the next cut will be. Cutting long lengths of wallpaper is no longer a risk either with the laser line showing the way to keep you square and true, without marking the paper with a pencil or messing about with lengths of string. An simple effective product waiting to be sold by you, take advantage of Chinavasion's excellent wholesale price and get this shipped direct to your door with our fast in-stock delivery.